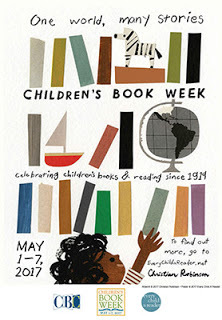 In celebration of Children’s Book Week, I am featuring a children’s or YA book every day this week. Be sure to check them out every day or see them all by clicking HERE. 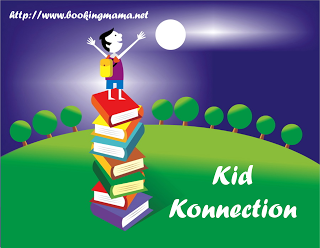 When our children were younger, they loved these types of seek and find books. They were the perfect book for long car trips (or short ones), long wait times, or church. They never got tired of looking through them and finding the specific item on the page. This hardcover, tall, and skinny book would easily slip into a backpack or diaper bag and could be pulled out while your toddler is in a stroller, car seat, or shopping cart. The pages are sturdy and resistant to tearing, but not too heavy for a small child to hold. Each page offers two flaps that feature animals to look for. It doesn’t just name the animals but gives them a creative adjective that is often funny like a blind bat wearing dark sunglasses and holding a cane. 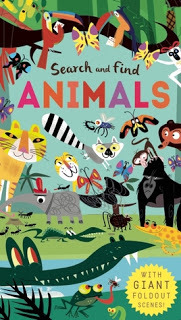 Once you open the pages, then you are offered a full scene of animals to find your specific creature or item you are looking for. One spread is full of farm animals. Another is a scene from the Arctic. 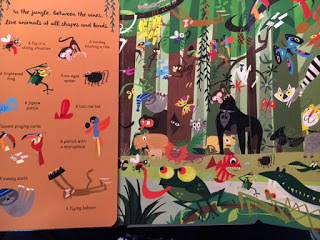 It finishes out the pages with scenes from the jungle, the safari, the ocean and the forest. It’s extremely comprehensive including numerous animals in their various habitats. You child will find the artistic octopus with his calligraphy pen and ink quite silly. Even though this is made for younger children, older children will find the humor on the pages and notice that the hedgehog in a ball is different from just the walking hedgehog. I’m giving this book huge praise and I can’t wait to give it to my great-niece and look for all the cute animals with her! To see more of Libby Walden’s books, click HERE. You can also stay up-to-date on her blog, HERE. Fermin Solis has illustrated a number of books, check them out HERE. Thanks to the publisher for sending this book for the purpose of this review. This review is my honest opinion. If you choose to purchase the book through the above link, I may receive a small commission without you having to pay a cent more for your purchase. Thanks for supporting SincerelyStacie.com.